Latitude Margaritaville Watersound is the newest of Minto's Margaritaville active adult communities. Inspired by the lifestyle cultivated by singer/songwriter Jimmy Buffett, renowned builder Minto is planning their latest Margaritaville community in the Panama City Area which is famous for its miles of gorgeous white sand beaches and year-round warm weather. Latitude Margaritaville Watersound is still in the planning stages, but future residents can expect the same sort of innovative home designs, resort-style amenities, and signature laid-back attitude that has drawn so many homebuyers to Minto's other Margaritaville communities. Amenities may include a town center, state-of-the-art fitness center, large retail area, and resort-style swimming pool. The community is still in the planning stage and is expected to be opened in 2020. If you can't wait that long, Minto has already begun construction on two other Margaritaville communities in desirable locations. Latitude Margaritaville in Daytona Beach, Florida and Latitude Margaritaville Hilton Head in South Carolina have received tremendous interest and are a great option for Parrotheads. Click here for more information on the progress of Latitude Margaritaville Watersound! 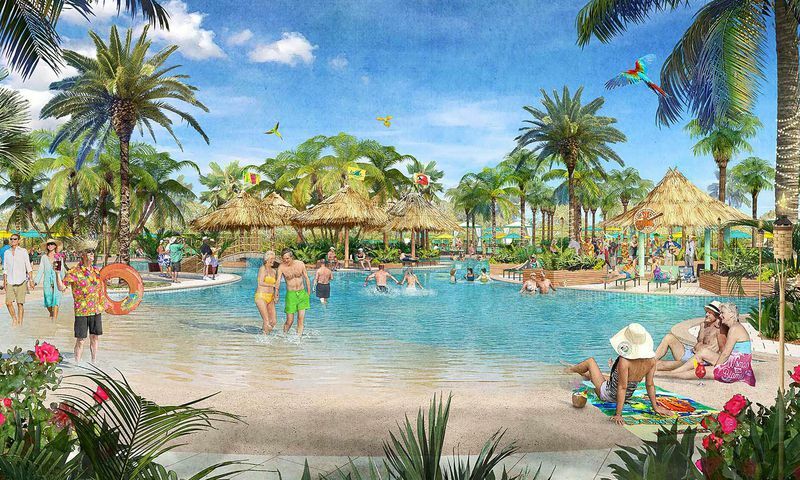 Check back soon for more information on the lifestyle in Latitude Margaritaville Watersound. Check back soon for more information on the model collections and floor plans available in Latitude Margaritaville Watersound. 55places.com is not affiliated with the developer(s) or homeowners association of Latitude Margaritaville Watersound. The information you submit is distributed to a 55places.com Partner Agent, who is a licensed real estate agent. The information regarding Latitude Margaritaville Watersound has not been verified or approved by the developer or homeowners association. Please verify all information prior to purchasing. 55places.com is not responsible for any errors regarding the information displayed on this website. This website and the brokerage and/or realty services offered in connection with this site are not affiliated with or endorsed by Minto Communities, LLC or its Affiliates. Latitude Margaritaville and the Latitude Margaritaville logo are trademarks of Margaritaville Enterprises, LLC. Minto and the Minto Communities logo are trademarks of Minto Communities, LLC and its Affiliates. Latitude Margaritaville copyrighted material is the property of Minto Communities, LLC and its Affiliates, and may be used only with prior written permission from Minto Communities, LLC.